Are you considering raising a Siberian Husky in an apartment, or other small dwelling such as a flat, unit, bungalow or inner city townhouse? Be careful because you might have problems with noise and howling, exercise requirements, or space limitations. Whilst keeping a large dog in an apartment is not easy, it is possible to achieve harmony between you and your pet. Here are some things to think about before you adopt that cute Husky puppy and bring him or her home. 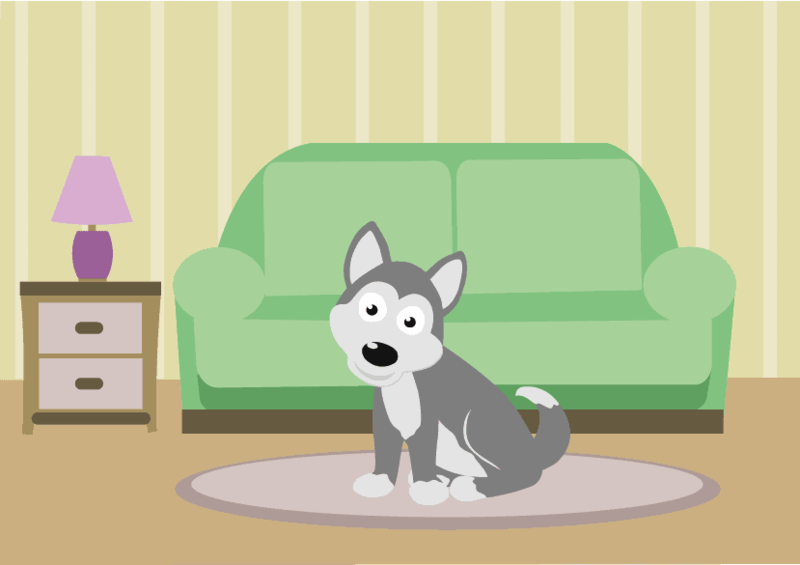 Can a Husky live in an apartment? The short answer is… Yes! You can raise a Siberian Husky in an apartment. But there are some big challenges ahead. Very big! Not many Husky owners can pull it off. Will my Husky have enough room to stretch and walk around? Do I have shelving, tables, and other furniture resistant to bumps, chewing, and slobber? Have I got the time and patience to clean up after my Husky if he or she makes a mistake? sheds hair? picks up objects and drops them all over the floor? Can I isolate my Husky in a room if he or she is misbehaving, you have guests around, or small children? Does my apartment get hot? Huskies prefer a cooler and well-ventilated environment. Don’t kid yourself, raising a puppy in an apartment is a challenge at the best of times. Huskies have special needs that make the job even more challenging. Alternatively, you could get a miniature siberian husky as well. Miniature huskies are a bit smaller, so therefore will require a bit less space and of course maintenance too. If you are renting your home then you need to check with your landlord of what pet ownership rules apply. If you own your property then you still need to check with your building manager or body corporate. Some landlords are fine with dogs as long as they know in advance, but many places prohibit dogs of a particular breed, of a large size, or all dogs regardless. Before considering bringing home any dog to a rented home you need to check out the rules that apply to your building. You should find these in your lease agreement, and it wouldn’t hurt to ask your property manager as well. One reason dogs (and other pets) might be prohibited is the likelihood of complaints from other tenants. Many complaints about pets in apartments boil down to two problems: noise, and property damage. Huskies are going to howl or bark if they are bored (more on that below). There isn’t much you can do about that. Unless you are going to be around your dog all day long then there is a pretty good chance they will make some noise when you head out the door. And because apartments tend to be in very close proximity to each other, that noise travels easily. You will want to approach your neighbours and get their feedback before introducing a dog in to your complex. Let them know that there might be noise, and invite them to talk to you directly if they have concerns. The last thing you need is a landlord, or worse the local animal police, at your door responding to complaints! Damage to property is another concern to landlords. Dogs have been known to scratch on walls, bump in to things, and chew on anything in reach. Again this behavior is symptomatic of boredom and it will be your responsibility to keep your Husky happy, and if necessary, pay for those repair bills. Huskies need a lot of exercise. In an apartment they need even more because they can’t get up and run around easily in the limited space available. You need to be willing to exercise your Husky every day no matter what! Whether rain, hail, or shine, and whether you are tired, sick or hungry. This goes for whether you live in an apartment or house of course, except that the chances are your dog will need to be exercised and played with two, maybe three times every day to avoid it turning destructive. Huskies often need more than walking. They like to get up to speed and have a run. It would be ideal if your apartment is near a large park where your Husky can move about more, chase balls, and experience nature. Housebreaking is an essential training activity for your puppy. We already have some housebreaking tips for Siberian Husky Puppies that you can check out. The same principles apply: get in to a routine with meals, look for repeated behavior in your pet to suggest he or she is “about to go”, and head outside if you can. Because you are unlikely to have a yard to let the Husky out to, and it might not be convenient to head out (e.g. you live up a few floors, or it is snowing outside) you will need to make a space in the apartment where he or she can do its deed. Out of living and eating areas is a good idea, so hopefully you have a suitably sized bathroom or laundry where you can lay down a large litter tray. You can use “pee pads” or “puppy pads” which are flat pads, kind of like diapers, that soak up liquid. See for example All-absorb Training Pads on Amazon. You also want to be sure your apartment has sufficient ventilation to keep the air cool and dry. Many apartments have limited options for opening windows and your Husky will suffer if it is left in warm stuffy environments, not to mention the smells that will accumulate. For more information on potty training an apartment dog you can check out this wikihow article. Some times you will need to leave your husky in the apartment while you go to work, head down to the shops, or go out with friends. Hopefully you are working hard at training your dog, particularly trying to keep him or her out of trouble. Does it have clean water? Has it got a toy to play with? A KONG toy is popular and effective. It is not too warm, not too cold? What if your puppy needs to go to the toilet? Is he or she likely to howl, and which neighbours will be affected? You also might want to consider starting with shorter ‘trial’ trips out of home to see how your Husky behaves. Even as something as sneaky as head outside your door and sit in the hallway for half an hour to see what happens. Or if you need to go out for longer, get a friend or neighbour to drop in and check that everything is ok. If you plan on leaving your husky home all day while you head out to work… well… good luck! It can be done but you will probably need a very well trained and exercised dog. A long walk or jog in the morning, and another when you get home, is probably what you need to give your dog to keep them stimulated. If you think you are up for bringing a Siberian Husky Puppy home to an apartment, but want to make sure you can handle the responsibility, you could contact a local dog rescue organization. You might be able to foster care a dog for a short period of time to see how you both go. If nothing else you will be doing your bit to help unwanted pets end up in the pound. 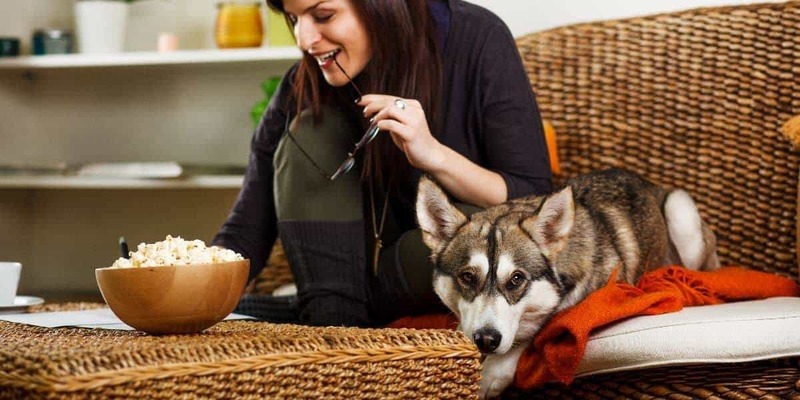 Keep these tips in mind if you live in an apartment and considering a Siberian Husky. You need to make sure you are allowed dogs, give your dog a lot of exercise, and make sure the environment inside the apartment is suitable for a medium-large sized animal.